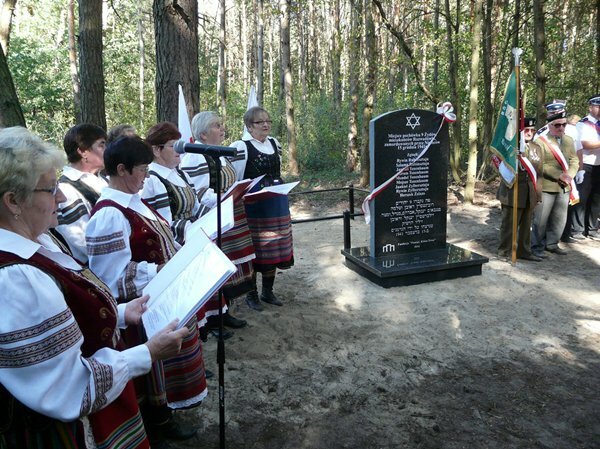 The unveiling ceremony took place right next to the grave of 9 Jews- residents of Rozwadówka - located and commemorated by the Foundation. 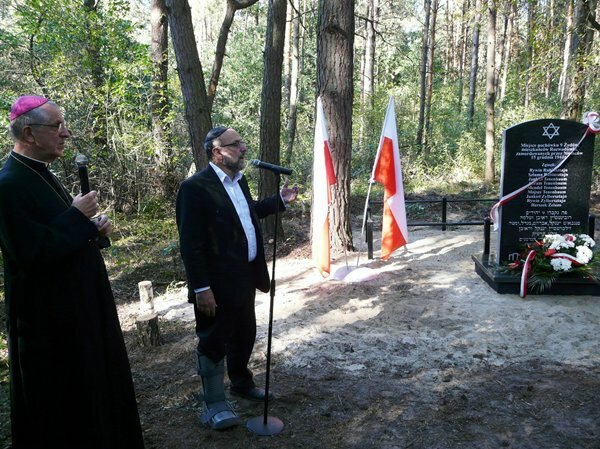 It was honored by the presence of the Chief Rabbi of Poland Michael Schudrich, the Bishop of the Archdiocese of Lublin Mieczysław Cisło, a group of 70 students from the town of Rishon Le-Zion in Israel, local authorities, teachers and students from local schools, the residents of Rozwadówka and the vicinity. The ceremony, conducted by Zbigniew Niziński, began with the performance of the Band of Singing Housewives from Rozwadówka who performed occasional songs. Next, the students of Junior High School in Sosnówka presented their artistic program for the ceremony. 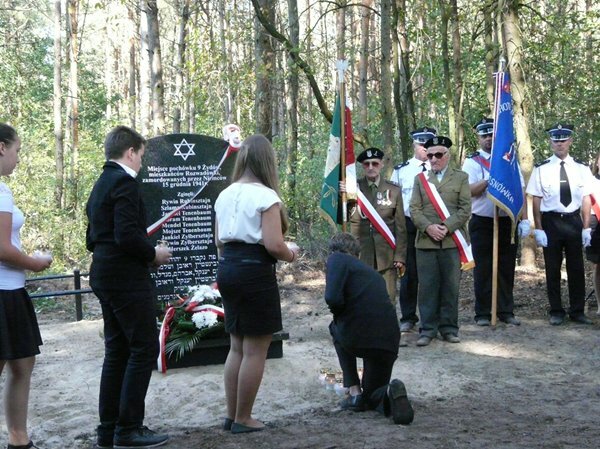 Józef Chilczuk, the resident of Rozwadówka who remembers the tragic event, told the story of the lives of the Jews in the town, recalling each of the nine victims. The Jewish community before the war consisted of approximately 20 families who made a living as craftsmen and tradesmen. In December 1941, the Germans decided to execute hostages in Rozwadówka and the area in order to intimidate the residents. 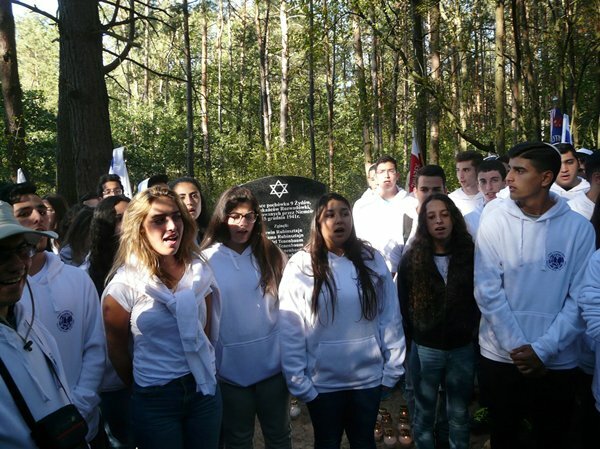 As they found out about the Jews living in Rozwadówka, they chose them as victims. 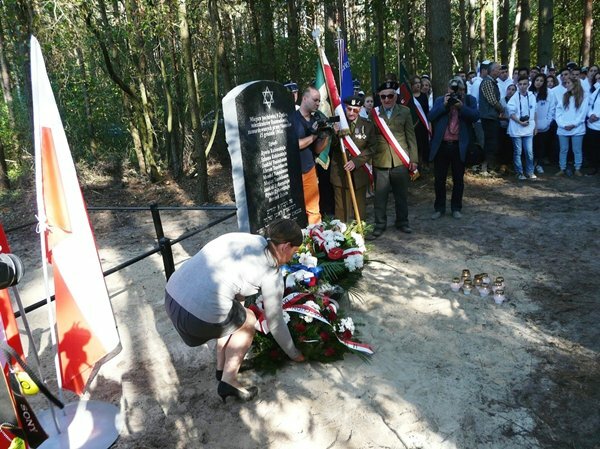 Among the dead there was Szlama – Józef’s schoolmate. After the prayers of the Rabbi and the Bishop, flowers were laid and candles lit at the grave. The group from Israel sang the anthem Hatikwa. After the ceremony, the housewives from Rozwadówka invited the Israeli guests for refreshments.